How Affordable Are Medical Billing Services for Physicians? In these difficult economic times, healthcare professionals are exploring many strategies to increase their practice's revenue. Partnering with an organization that offers expert revenue cycle management and medical billing services can provide your practice with a competitive edge in the industry by increasing revenue and lowering labor costs. How affordable are medical billing services for physicians? Read on and decide for yourself! HIS (Healthcare Information Service, L.L.C.) is the industry leader in Revenue Cycle Management and IT solutions for the healthcare industry, and has developed a successful revenue cycle management and medical billing services team that can take the stress of claims management and billing out of the hands of your busy office staff, saving your practice time and money. HIS has a staff of over 225 professionals, including over 65 certified coders. Medical billing and coding is extremely complex and claims must be submitted properly; errors result in delayed or denied payment, which slows down your revenue cycle and negatively impacts your cashflow. HIS boasts a clean claim rate of 98%, compared with the 70%-80% clean claim rate of a typical practice. 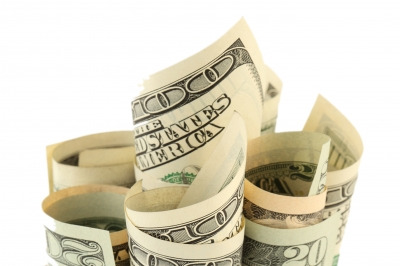 Clean claims result in quick reimbursements, speeding up your revenue cycle. By utilizing a revenue cycle management and medical billing services team, your office no longer needs to spend hours trying to reconcile claims, submit appeals, or resubmit denied claims. This results in lower labor costs and eliminates the potentially high opportunity cost of allocating staff for timely follow up tasks. HIS works to ensure successful collection of payments up front: which is a proven strategy for increasing cash flow. With patient co-pays and deductibles increasingly common it is imperative that your practice's collection process successfully captures this revenue, along with collection of outstanding payments, and it is typically much easier to accomplish prior to service. The benefits of employing HIS' medical billing services team is the confidence your physician practice gains from knowing that your financials are excellent order, and the knowledge that you are capturing the maximum amount of revenue from the services you perform. Healthy financials result in a practice that has the ability to grow and continue to provide high quality healthcare.